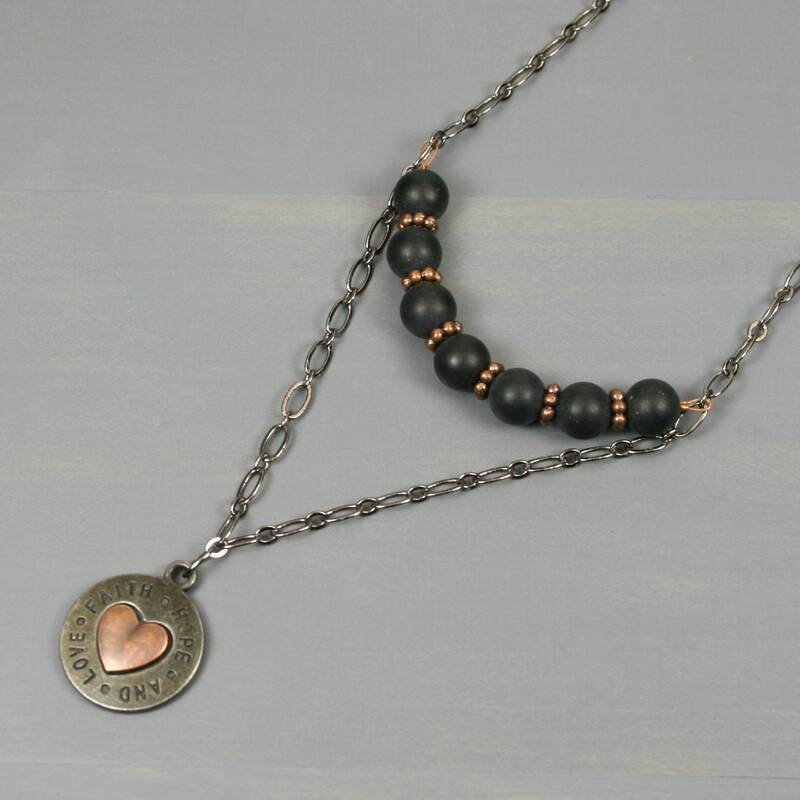 This necklace features a round gunmetal and copper charm (20 mm diameter) with the words "Faith, hope and love" around a heart shaped center on a lower strand. 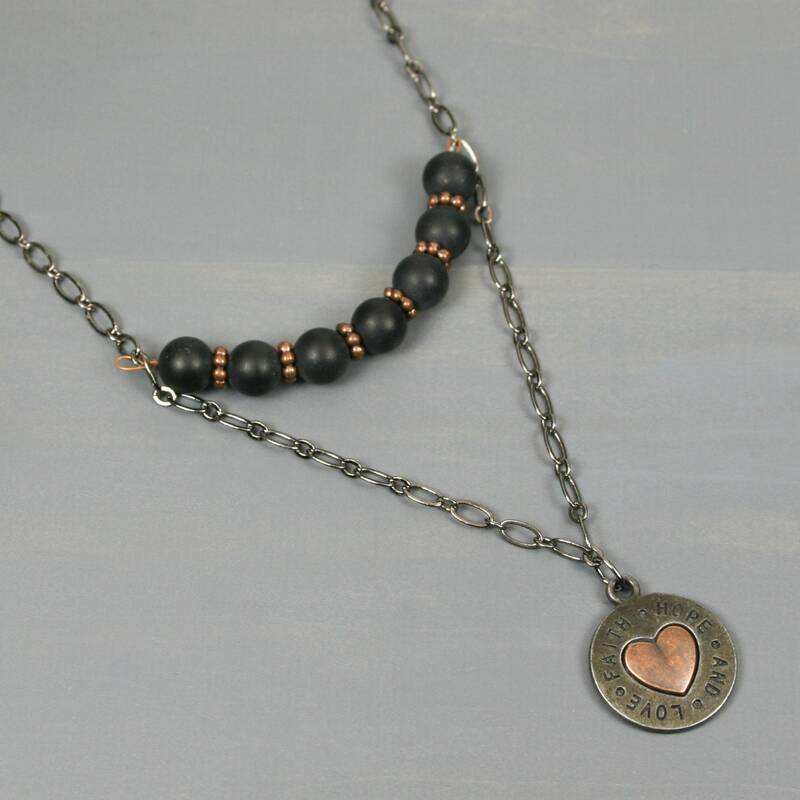 The upper strand features alternating matte black onyx beads (8 mm round) and antiqued copper plated beaded roundels on copper colored wire. 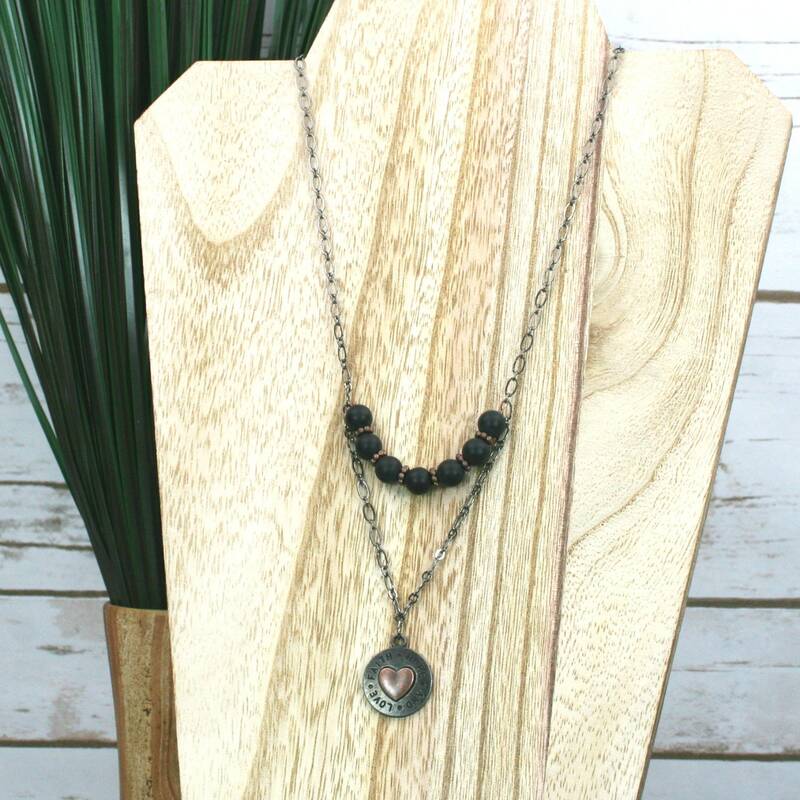 Both strands come on a 24 inch gunmetal plated chain with alternating long and short ovals. 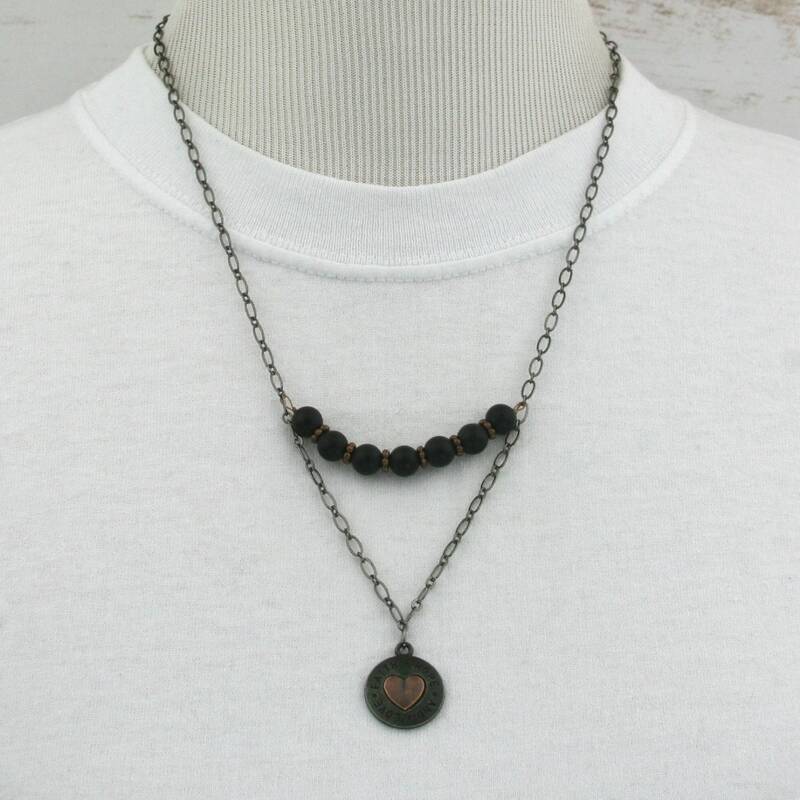 The chain closes with a gunmetal plated lobster clasp. 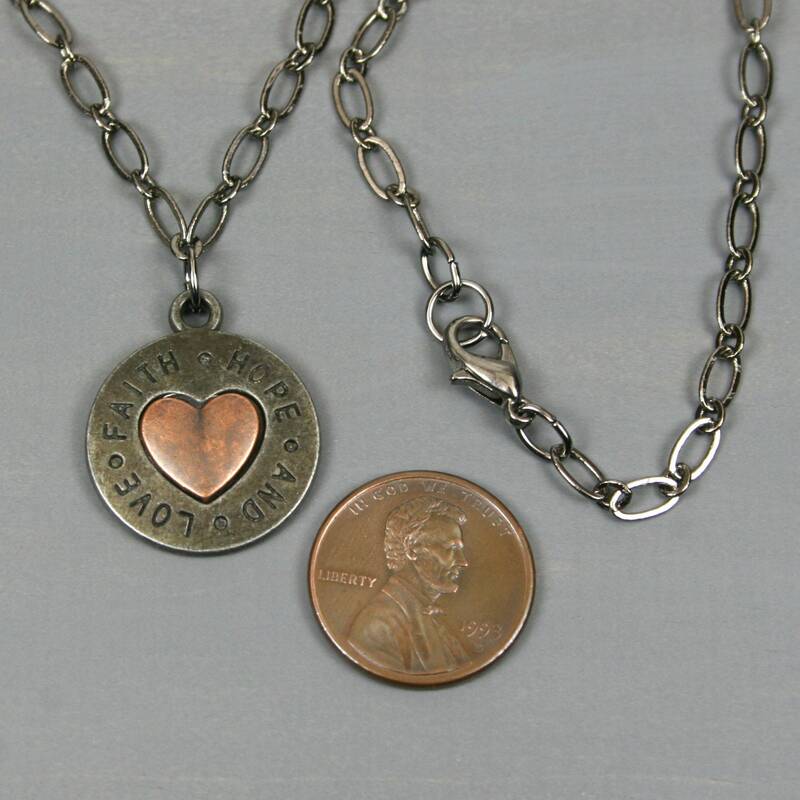 The shorter strand has a length of just over 21 inches.